The future of grocery shopping is here! 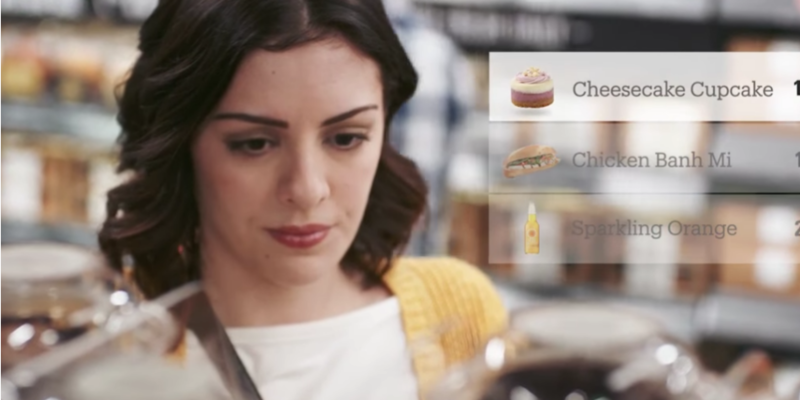 Amazon Go is coming to Seattle in early 2017 to revolutionise the way we do our food shopping. There will be no waiting in lines or fussing around with cash or credit cards- instead, you just literally walk in, take what you want and walk out. Check it out! Four years in the making, this physical grocery store proves just how innovative and “start-up-like” the Amazon Inc corporation is, always pushing the boundaries and getting truly innovative with their ideas. Earlier this year, the e-commerce organisation opened it’s first physical retail store-a book shop, in Seattle, which is also home to their global headquarters. It seems too futuristic to actually work, but apparently it does! The Go app allows customers to swipe into the store, where “computer vision, sensors and deep learning algorithms” begin to track purchases. Once you exit the store, you are automatically charged for the items you have put in your bag and a receipt is sent to your phone via the app. Those techies never seem to be short on surprises! At first, the store will only be accessible to Amazon employees, but opens to the greater public next year. It will sell a limited range of foods to begin with including ready-made sandwiches, dinner and breakfast options, as well as staples like milk and bread, and packs of food to make at home in 30 minutes for 2 people. According to Business Insider, a drive-through grocery store could be next, these 2 new ideas then being trialled before up to 2000 more could be rolled out globally. Would you shop at Amazon Go, or do you appreciate the customer service? We want to know! Comment below. Kid’s Drones- Which Are The Best?